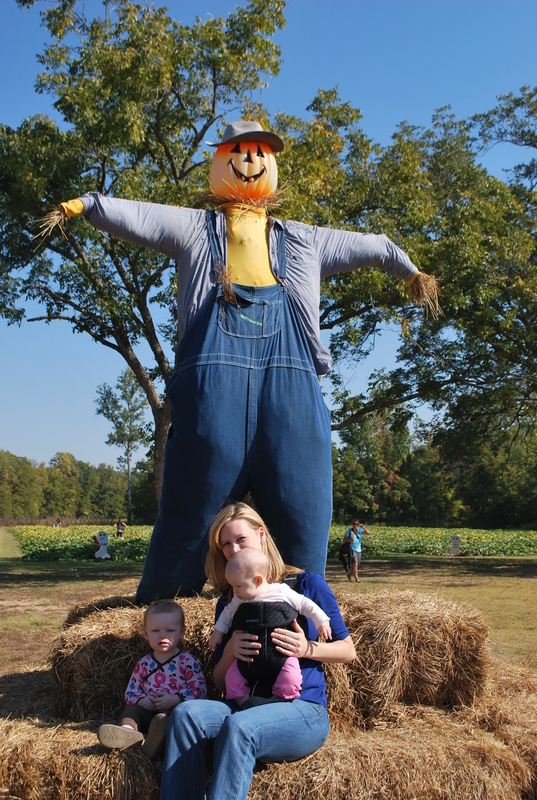 I took Bri and Emmie to the pumpkin patch this morning. It was a first for all three of us and we had a good time. 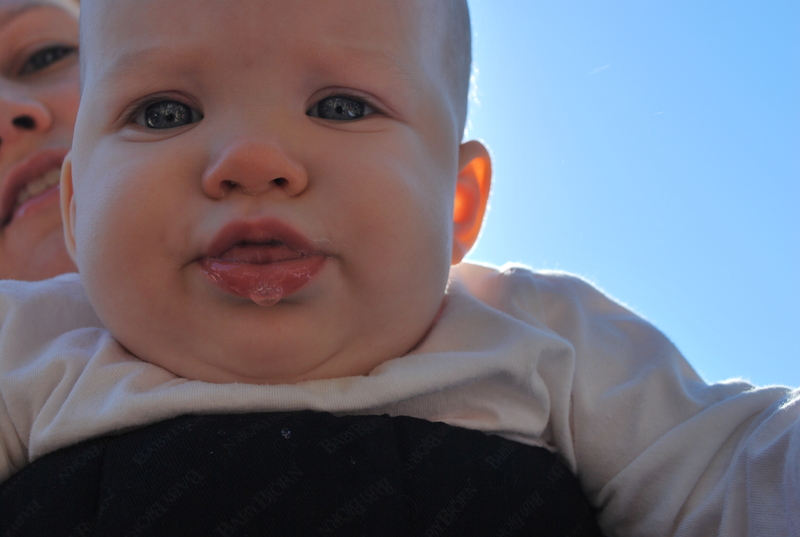 It would have been more fun if it hadn’t been so hot. 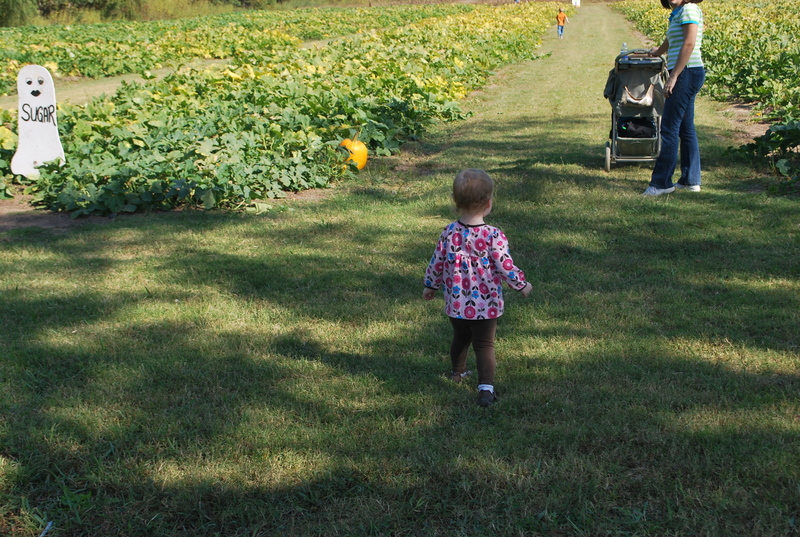 It felt like a crisp fall morning when I was dressing everyone and by the time we got there, I realized I’d made a mistake by not putting us all in summer clothing. Oh well, a lesson learned for next time. 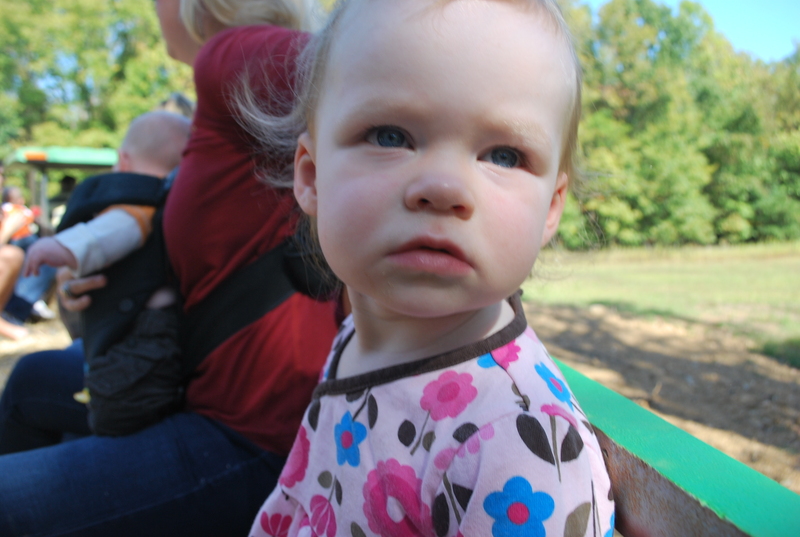 Bri on the hayride. She didn't seem too excited about it. 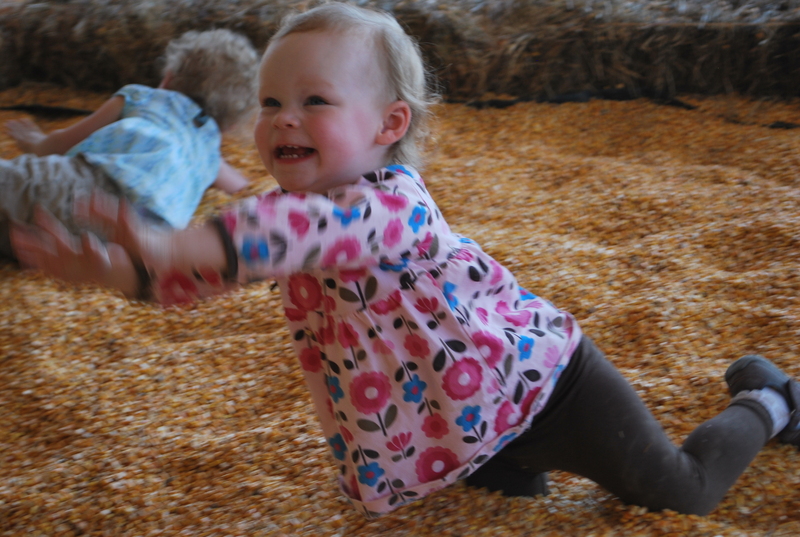 She had more fun in the corn pit! 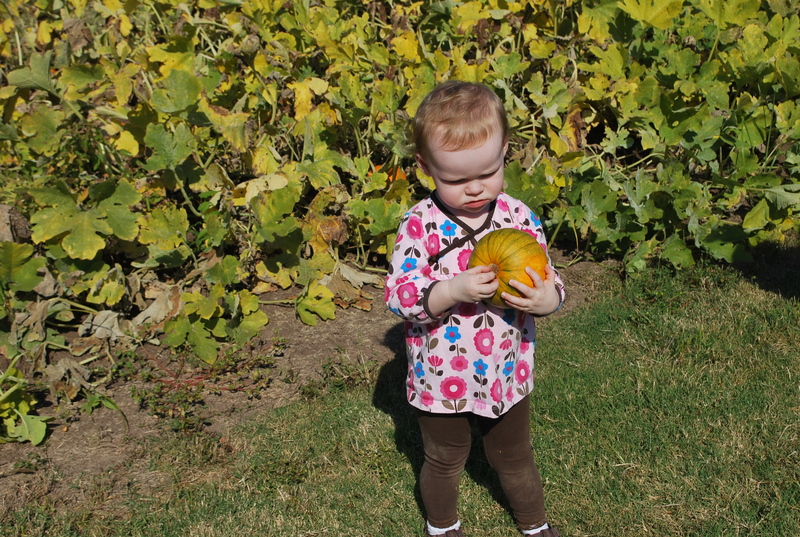 I’m going to miss going to the pumpkin patch. 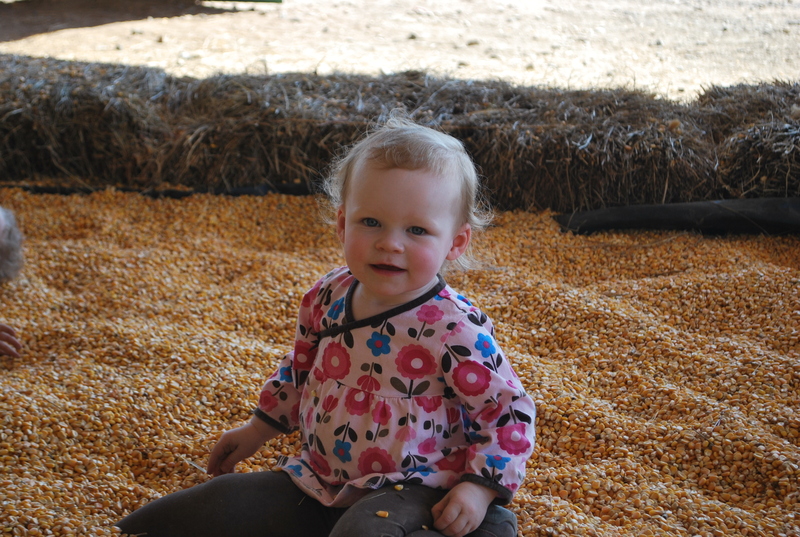 They don’t grow down here. It looks like y’all went to a different one than we always went to. 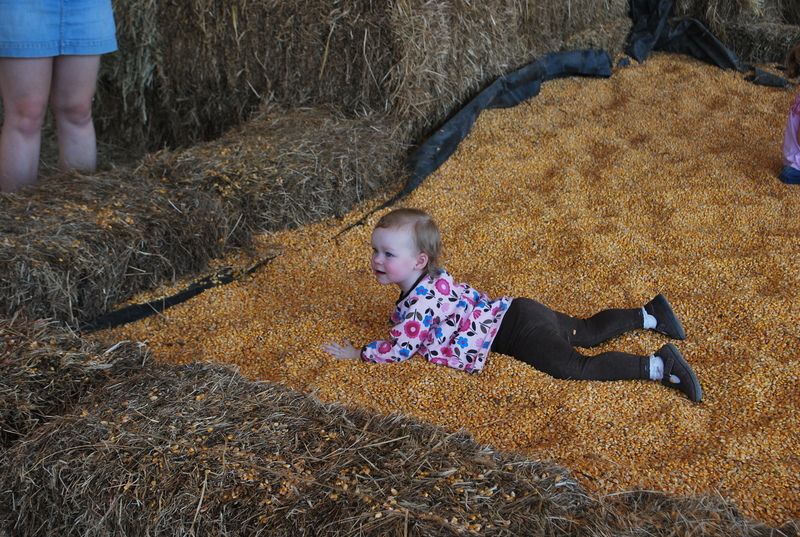 I never thought about a corn pit. That’s a good idea. Cute pics. Fun stuff. I wish I could have been there with you, honey!! I love this time of year and it’s so pretty there. The girls are so precious! I love you all very much! !